And so are the reviews. And they're mostly, extremely good. First off, I don't really do reviews anymore, but I did see "Tangled" last night. I can tell you that everything I found distasteful about the ads, and everything I've heard about the film are exactly as I expected. I loved it. In fact, it's the best thing that Walt Disney Animation Studios has done since Lasseter became its head. "The delightfully witty Tangled is the first animated cartoon released by Walt Disney Pictures that can stand alongside Pixar toons without apology." "While it may lack some of the emotional depth of what remains Disney's finest modern animated feature, BEAUTY AND THE BEAST, the studios 50th film, TANGLED, is as good as or better than works like THE LITTLE MERMAID and ALADDIN"
"The film manages to earn a real emotional payoff by the time it ends, and I was surprised by how well the film wraps things up. "Tangled" may not be the new best Disney film, but it is a reminder of just how good the company can be when they bring everything together, and I suspect it's going to be a monster holiday hit for families." "'Tangled" is the best animated film from Disney in the past 15 years." "With the caveat that I really dug Tangled, I'm not sure it should have succeeded as well as it does"
"Tangled could have been a disaster. Directors Nathan Greno and Byron Howard really pushed for something different by attempting to modernize a classic tale for contemporary audiences while combining the classic storylines and imagery of Disney’s illustrious past. All of that experimentation can unbalance a film by leaning too heavily on one side or the other, but Tangled does a remarkable job at harmonizing the past and present." "For "Tangled," the studio's 50th feature-length cartoon, the team at Disney has taken a deep breath and tried to be all things to all animation- loving people. There are some hiccups along the way, but by the end there is success." "The best non-Pixar Disney movie since 1994’s The Lion King, Tangled is an effortlessly captivating and frequently breathtaking throwback to the studio’s fairy-tale-inspired films of yesteryear." "Bright and engaging, and blessed with two superb non-verbal non-human sidekicks, "Tangled" certainly is more like it. For much of the last decade the Disney corporation has struggled to regain its animation mojo, while one-time rival and current business partner Pixar — and, at its more sporadic best, DreamWorks — dominated the market. 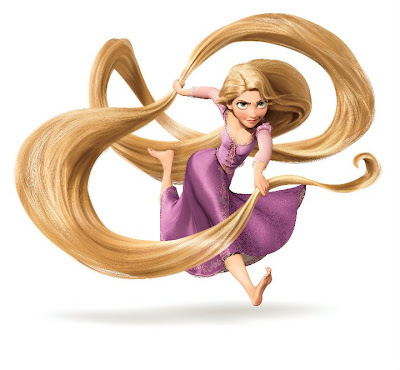 While no masterwork, "Tangled" reworks the Brothers Grimm tale of Rapunzel clearly and well. It's rollicking without being pushy. After the narrative chaos of last year's "The Princess and the Frog," it's a gratifying improvement." And over at Rotten Tomatoes it currently has a 89% fresh rating with about 70+ reviews in. Not bad, but don't judge it by what these critics or I said. I saw it at screening this morning. I wasn't wanting to go but my girlfriend dragged me to a screening before she went to work. I was quite surprised. It's a great film. The marketing for this film is all wrong. I understand why it was done, but the film was a marvelous and entertaining way to start off my time off from the world. I may even see it again this weekend. Agreed. It was a great film and the influence of Lasseter over this film more than any other is proof that there are bright days ahead for Disney animation. Now THIS is how Disney used to do animated fairy tales. It would be a shame if they stopped now, after this. THIS is why Disney is so beloved. When you go to the parks, the music is what transports you into another land. A song like "I see the Light" is what was missing from TPATF...among a few other things. Right now, the box office for Tangled is doing waaaay better than they thought. It looks to do 60plus million for the 5 day. If that happens, 200 plus million domestic looks possible. I hope Tangled's success will prompt Disney to reconsidering greenlighting the Snow Queen. I don't think that *anything* could beat the awesome "Bolt"... does anyone know what Roger Ebert said? I would trust him. This was a great movie. "Mother Knows Best" was a heckuva number. The sacrifice moment was brilliant, and the movie completely earned it in a way I don't think I've seen in a fair tale movie since Beauty and the Beast. And plenty of homages to B&B and, I think, other classic princess movies--too bad they wouldn't own it completely and call it Rapunzel. Still, great numbers, great set pieces, great voice work, superb animation (the glowing hair is awesome) . . . I don't know if it'll make what it deserves, but it deserves to be a hit. Without a doubt one of the better movies I've seen this year. Anybody sitting on the fence--if you like Little Mermaid and B&B and the rest of the second golden age of Disney, you will like this film. Go see it. I only hope they make some more. I enjoyed Frog Princess--it was a good film--but this is much, much better. ^Yes! The Snow Queen! But ONLY if it's done in the style of the Anderson story, with Gerda searching for Kay, and ONLY if Gerda and Kay are depicted as children and not Disney popstar tweens. Plus, Disney ought to look at that old Russian Snow Queen film for inspiration. It's odd and sweet and beautifully animated and unforgettable. Go Snow Queen! We just saw this movie and I have to say we all like it. Including my 14 yr old son. He also like TPATF, but he thought this movie was way funnier. I thought the animation was great and just a few songs so that it did not overwhelm the movie. The little girl next to us had a huge smile on her face almost the whole movie. While there were a few jumpy parts to the storyline, this is added to my favorites! Off the charts great! Beginning to end a roller coaster of emotions, comedy, character driven moments of revelation and heart! Saw it yesterday (in 3D!!) and I really liked it, but I have to disagree about one particular thing: The music. The Princess and the Frog had far more memorable numbers than Tangled. In fact, right now I can barely remember a single song from the film. I talked to my sister, who took her three kids to see it, and she had the same reaction. Fantastic animation, story and characters, but a total dud for a soundtrack. We are huge Disney fans, but we spend our movie money carefully.. we didn't see the last 3 animated Disney movies in the theatre - and never regretted it. After hearing good reviews from friends/family/ certain blogs we decided to see it and were glad we did! It was definitely a fun-feel-good! But anyone notice how it was kind of a Beauty and the Beast & Sleeping Beauty mash-up? Honor, I know that I'm late in commenting here, but I know that you will be reading this, and that's the point. I have to say, I had been following your blog for quite some time, and concerning this whole "Tangled title change" subject, you acted just like Spokker. Well, where was your faith in John Lasseter when it came to the title change? What's more, you were overly critical of the way the film was marketed, and even about the poster, saying to the marketers "This is not a Dreamworks film" Well guess what? The poster didn't lie. Flynn DOES fight with a frying pan, Rapunzel DOES use her hair like a rope, and Maximus DOES flight with a sword in his mouth. I used to like your blog Honor, but I'm sorry, you REALLY need to get off your high horse. In recent months, you have been increasingly critical of Disney, and acting more and more like Spokker. Whether you like it or not, the marketing did work, and arguably, the title change probably helped the film. In the real world, most people did not seem to care that the film got a title change. Also, I find it interesting that you and Floyd Norman did not seem to care about Pixar's "Brave" title change. Perhaps you are biased? (Which doesn't make a lick of sense, considering that Lasseter is chief creative officer at BOTH animation studios. So I really am very sorry Honor. I used to like your blog, but because of your increasingly critical (and Spokker-like) attitude, I have stopped reading it. I just wanted to make sure that you saw this message.